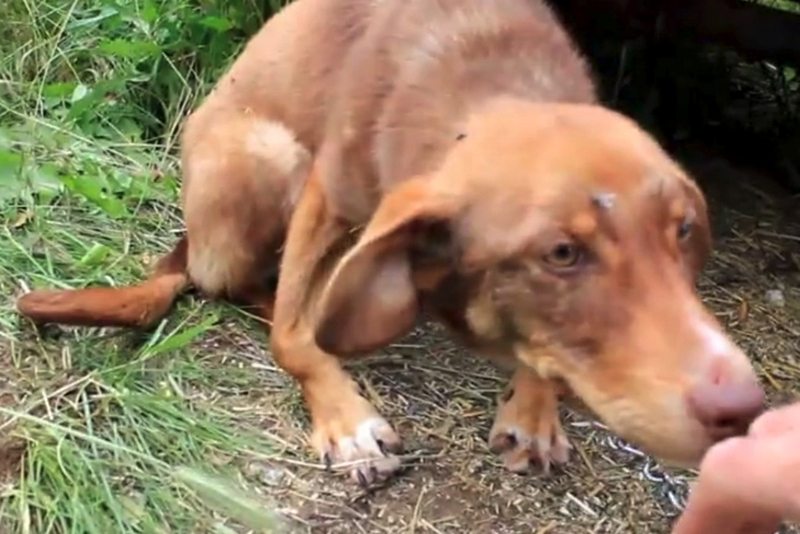 When rescuers found this young dog he was broken, beaten, scarred, and left to die. The rescuers didn’t know if they would be able to save him, but they knew that they had to do something to help this otherwise helpless animal. They had no idea how the dog would react to them approaching or getting close enough to help, but it was a risk that they were willing to take. However, once they got close enough, they were surprised by the dog’s reaction and even more amazed by the story that followed. Unfortunately, a vast majority of animal shelters around the world are usually full to the point of bursting. People often opt to bring home a dog that has been bred or that’s still a puppy, instead of rescuing a dog in need. Dogs and other animals can end up in shelters for a variety of reasons, or worse, they are abandoned and left to die by their careless and cruel owners. This was the case for a dog later named Duke. 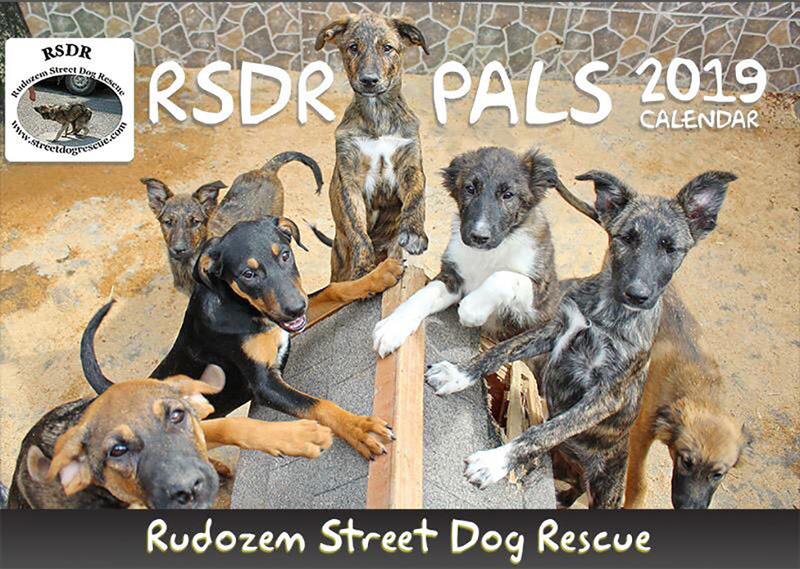 Luckily for the dog named Duke, the animal rescue charity Rudozem Street Dog Rescue (RSDR) came to his rescue when they received a call in 2014 about his condition. Even though their shelter at the time was already past capacity, they knew that something needed to be done for this helpless animal. So, they figured out how to help. Without a doubt, Duke wouldn’t have stood a chance without their love and respect for animals. Thankfully, there was a concerned citizen in the area that thought to call and seek help for the suffering pup in a remote area. She called about an abandoned dog that looked in really bad shape and begged for the organization to help. She knew that if the dog didn’t get help soon that she feared the worst would happen. However, she thought that the job was best left up to professionals and the least she could do was give them a call. 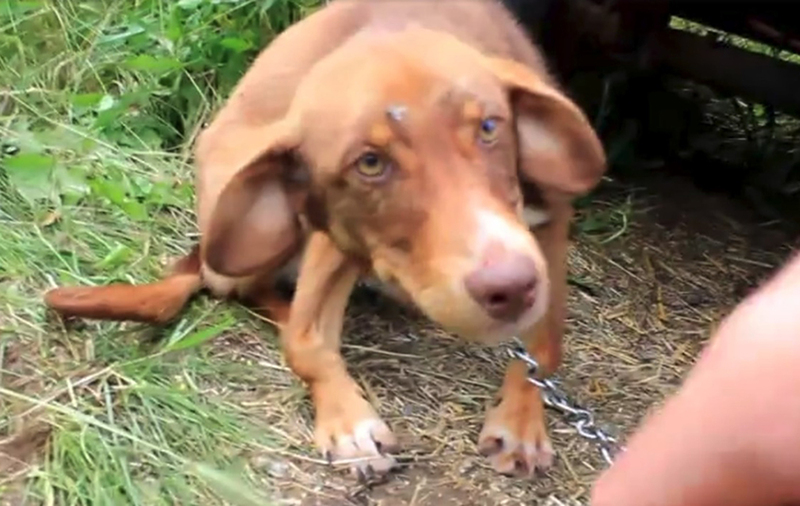 When the rescue team arrived on the scene, what they came across was heartbreaking. 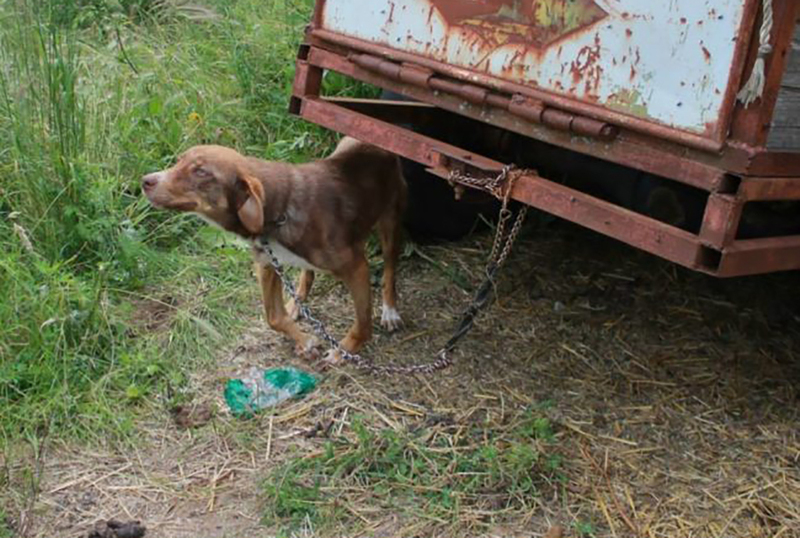 They found what appeared to be a rather young dog that had been chained to the underside of a trailer. Apparently, his owners had left him behind with no food and water in sight, expecting that the dog would die of exposure. The worst part about it all was that the dog had apparently been there for over a week by that point. 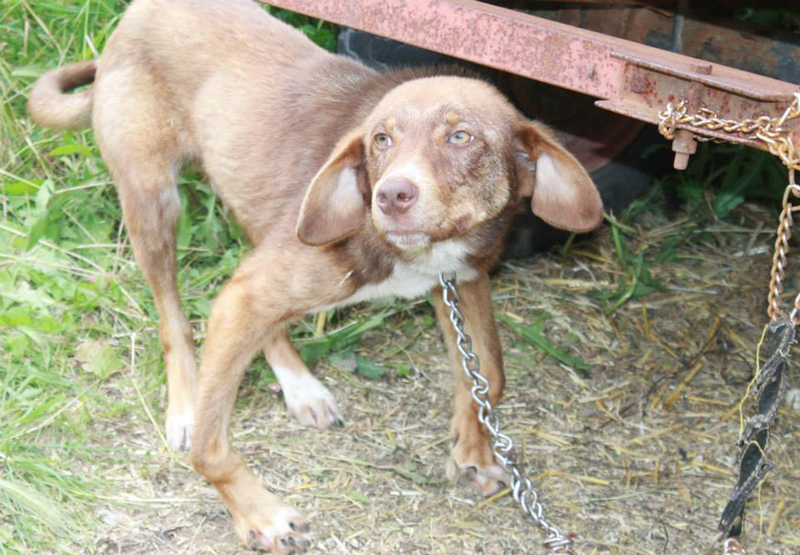 On their social media page, Rudozem Street Dog Rescue explained that the poor animal had been chained to the trailer for ten days by the time they arrived. The only reason that the dog had managed to live that long was from the kindness of the people in the surrounding area. 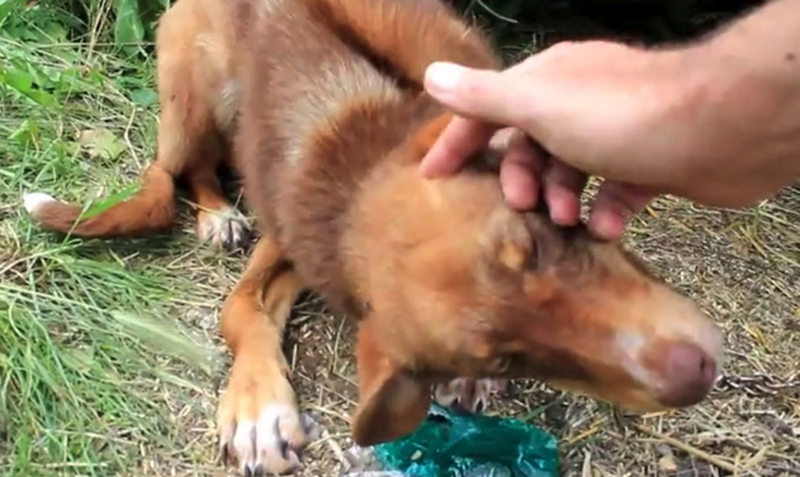 Some people had managed to give the dog bread and water to help the poor pup survive. Furthermore, the supposed reason why the dog was chained up in the first place you wouldn’t believe. 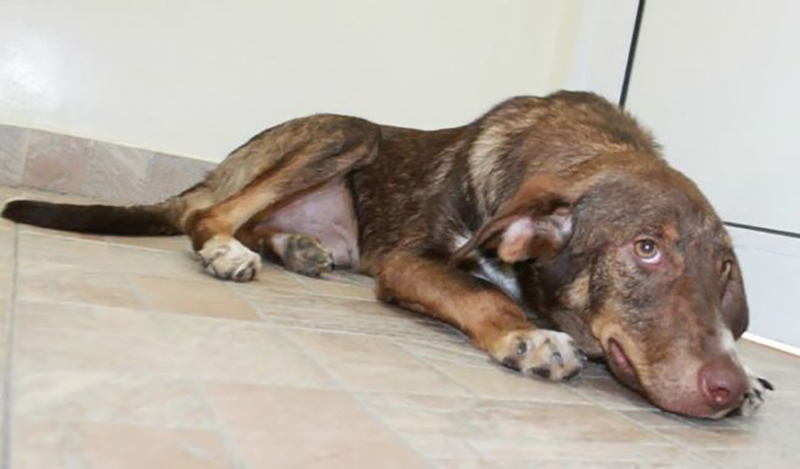 Supposedly, Duke’s “owners” claimed that the dog was suffering from a disease that humans could catch, that way people wouldn’t go near him to see what terrible condition he was in. Unfortunately, some people believed this lie and Duke remained chained to the trailer. It was a cruel and sly way for the owners to keep anyone from potentially freeing the poor animal. The reason why they didn’t want anyone to help Duke still remains a horrible mystery. 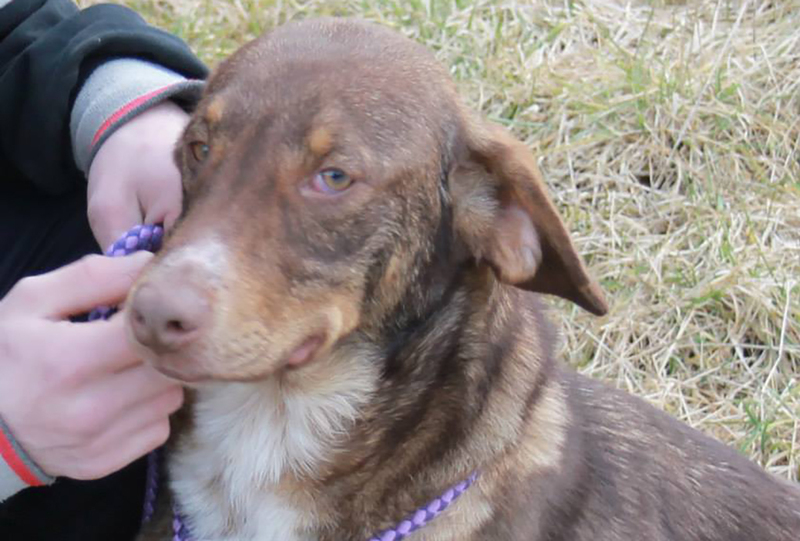 The truth was that Dukes owners had thrown him away like a piece of garbage and left him to die. He was lucky that anyone got there in time. Yet, the most heartbreaking part of the situation was that Duke, who wasn’t more than ten months old, was as affectionate and loving as any other ordinary puppy would be. While he understandably didn’t run into the rescue team’s arms at first, it was clear that he was happy to be around loving people. A Rudozem Street Dog Rescue volunteer recalls that “When we arrived, the poor little guy was covered in flies.” He was clearly not in good condition whatsoever, and they weren’t sure what would happen if they got too close to the animal, considering what it had gone through. 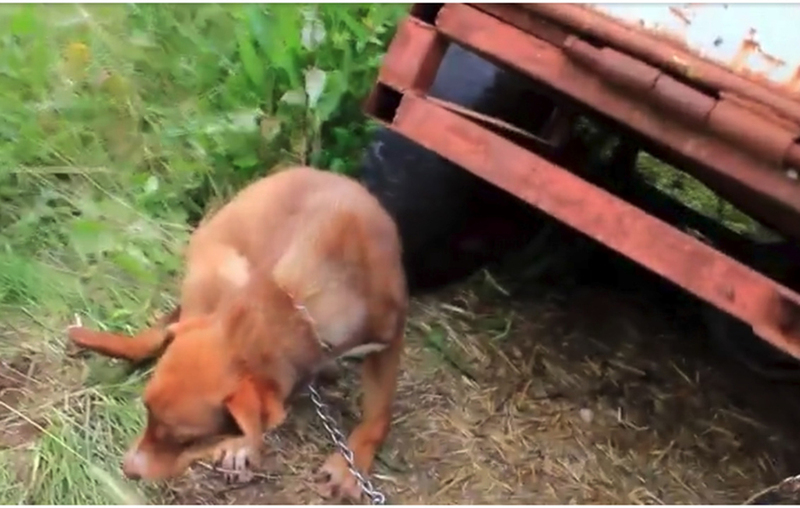 Not only was the dog left to die, but it was clear that the dog was already suffering before being chained up. He was extremely malnourished with a terrible cough, along with other issues that couldn’t have happened within the last ten days. 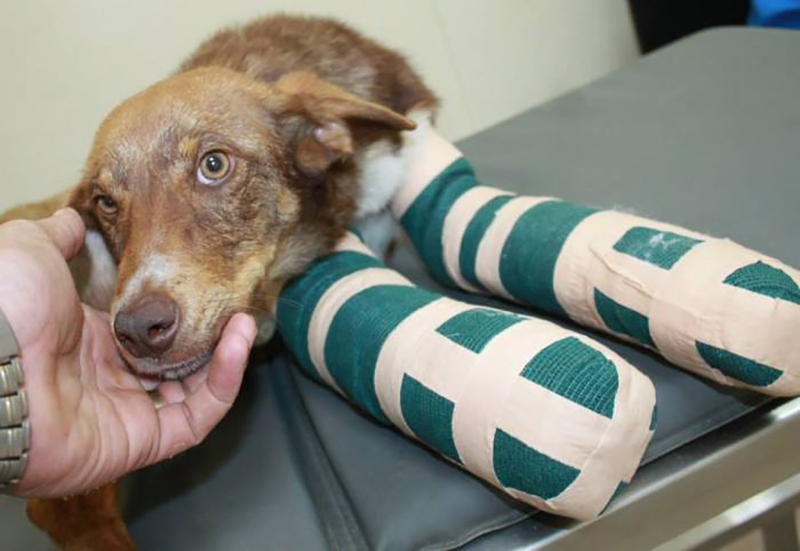 While everything about the situation was downright horrific, just when things didn’t look like they could get any worse, they looked at the poor dog’s legs. They were clearly bowed and misshapen, making it hard for him to stand, let alone walk. Taking note of his legs, originally, they thought that Duke might have had a congenial problem, was caused by malnutrition, or was a version of both. Little did they know that the answer was far worse than both. As mentioned previously, the Rudozem Street Dog Rescue facility was already packed to the brim with animals that were either receiving treatment or waiting to be adopted by loving families. However, Duke was a special case and they were going to make room for him no matter what. Luckily for the staff and other animals, Duke had a very calm and non-aggressive demeanor, it wasn’t hard for him to share a room with other dogs. However, a trip to the vet the next day would show that Duke wasn’t out of the woods yet. Unfortunately, there was some distressing news at the vet’s office the next day. As it turns out, their worst fears were true after an X-ray showed that Duke’s legs weren’t misshapen because of a congenital problem or malnutrition. 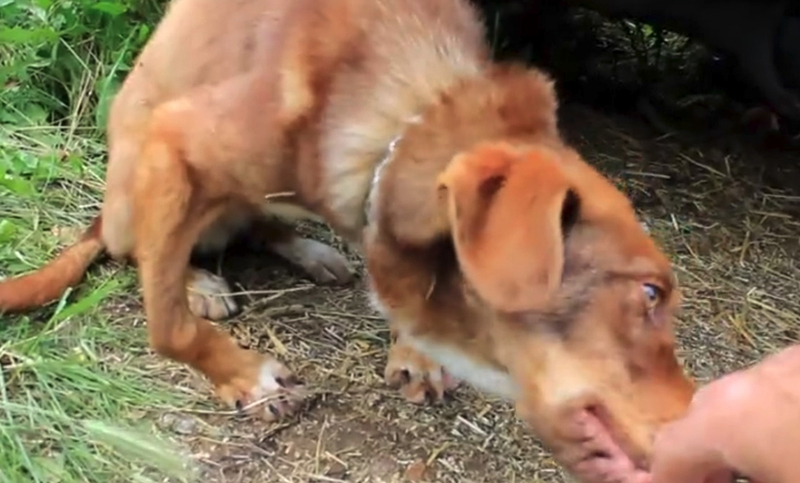 On their website, Rudozem Street Dog Rescue described how they couldn’t actually believe what had caused Duke’s legs to become deformed. Horrifyingly enough, they came to the conclusion that Duke’s legs were so misshapen from him walking on broken bones. When they found him, he also had a terrible cough which they thought was an illness he might have had. This was also caused by his previous owners tieing the chain around his neck way too tight. 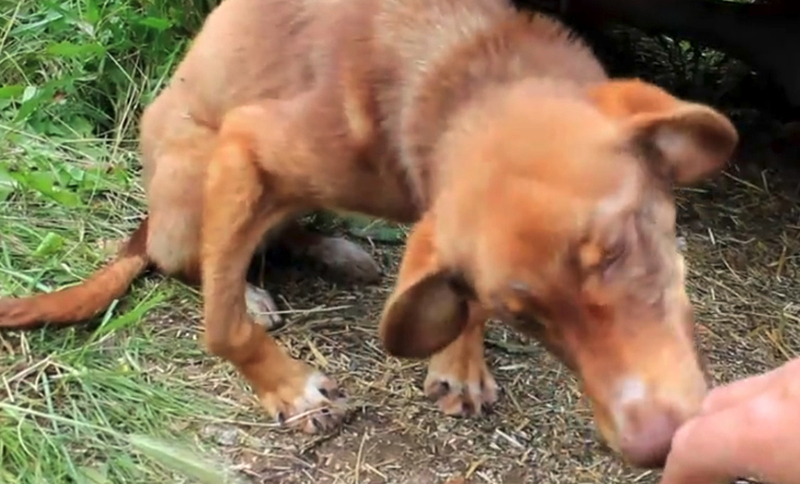 After all of his problems had been identified, now came the process of healing the abused dog. Because of the severe damage to his legs, the doctors had to re-break them in order to get them to heal in the correct manner. His legs were then put into splints for a couple of weeks before he went into surgery to fix some of the other issues. Even though he was in pain and was suffering, he showed affection to everyone during his treatment. Although recovering to become a healthy dog would be a long and arduous process, this didn’t phase either the staff or Duke. Both were optimistic throughout the whole process, with Duke receiving all of the love and care that he would need to keep him in high spirits. However, he had to wait a long time for his bones to correctly heal before he could have his full corrective surgery which would be one of the final steps in his physical treatment. But there was a light at the end of the tunnel. 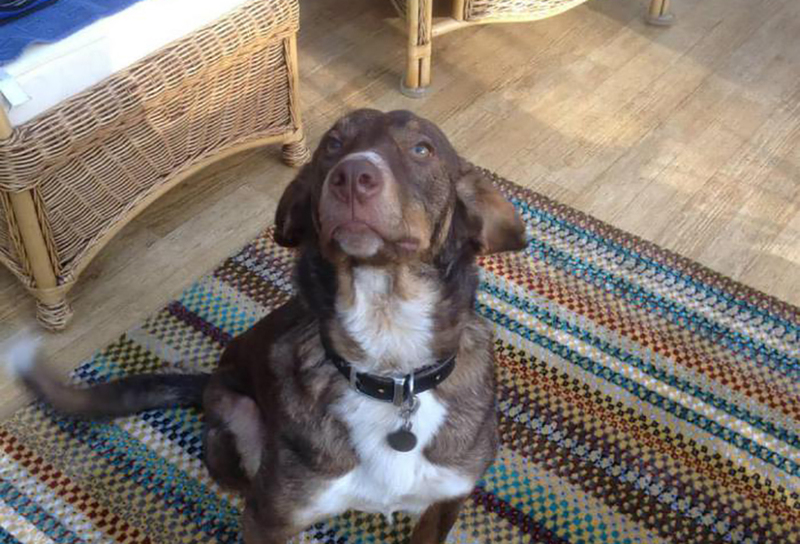 After he had finished with all of his treatment, it would be time for Duke to go to his forever home in the U.K. 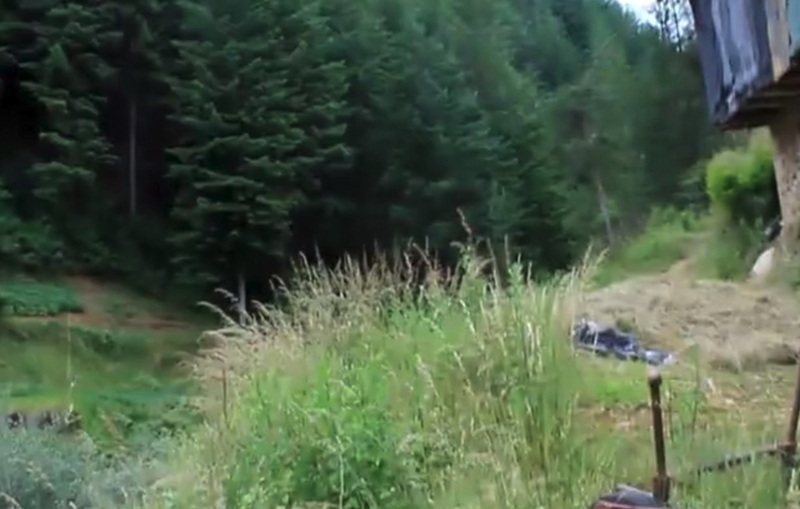 Things were starting to look up for this dog who had suffered so much. While Diana was thrilled about bringing Duke home, he wasn’t fully ready to be on his own yet. 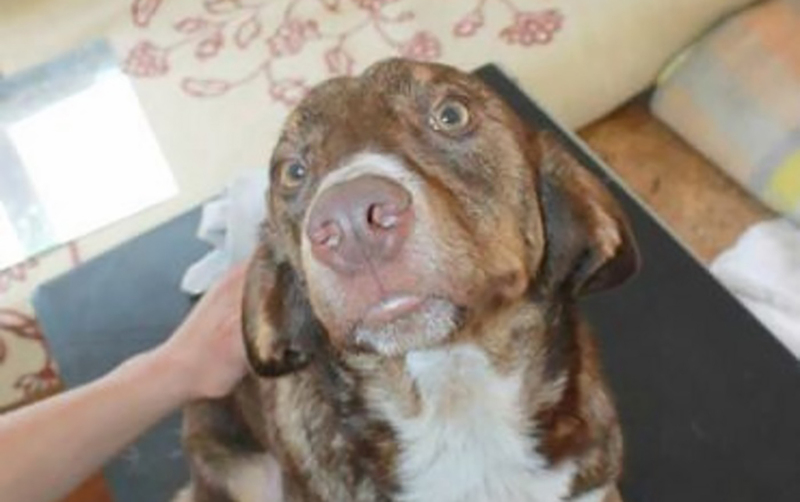 He would need to be kept in Bulgaria until he was healthy enough to go to his new home and loving owner. Eventually, it finally became time for Duke to be adopted. 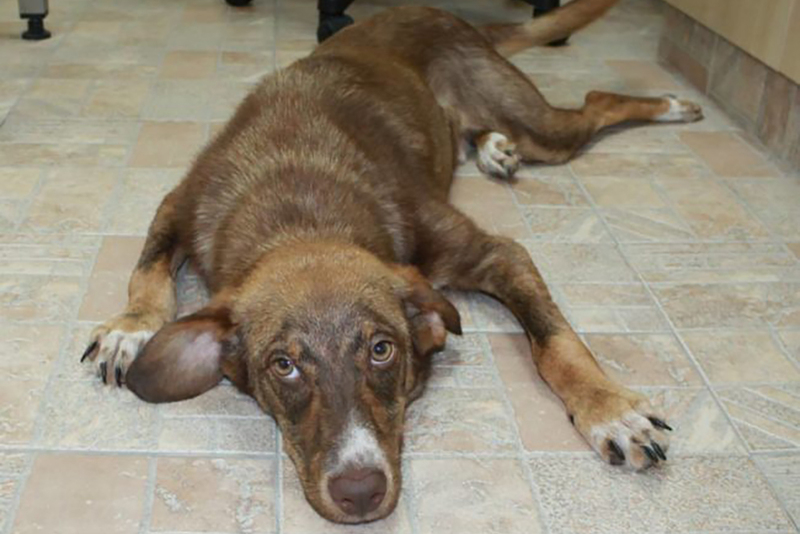 He had been successfully healed for the most part all thanks to the Rudozem Street Dog Rescue. While everyone was thrilled that Duke was getting a second chance at life, that also meant that everyone at the shelter had to say goodbye to Duke. Of course, after Duke went to live with his new owner in the U.K., everyone at the shelter and people who had followed his inspiring story were dying to know how he was doing. So, the shelter asked for some pictures of Duke at his new home to see how he’s doing. Turns out he’s doing better than anyone could have expected! The shelter commented, “What a happy chap he is!” Everyone was thrilled to see Duke flourishing in his new home and living life as a loved dog should. 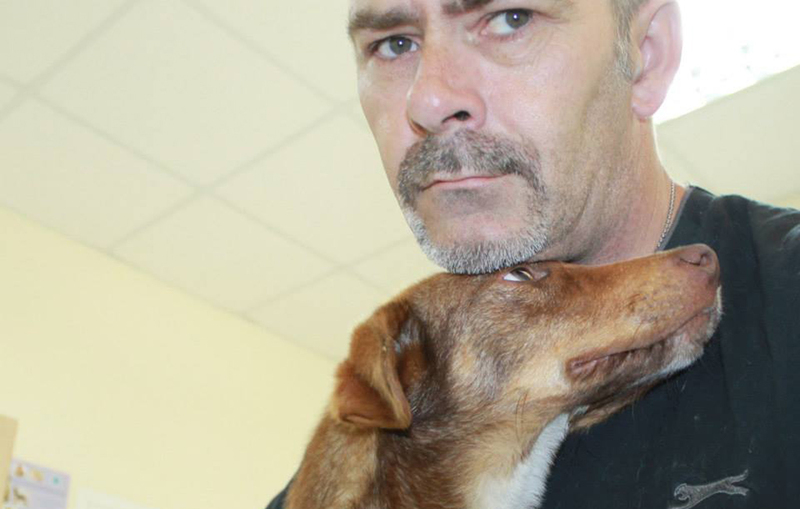 Duke got a second chance at life all thanks to the Rudozem Street Dog Rescue (RSDR). They are a non-profit foundation that rescues and helps street dogs in Bulgaria. 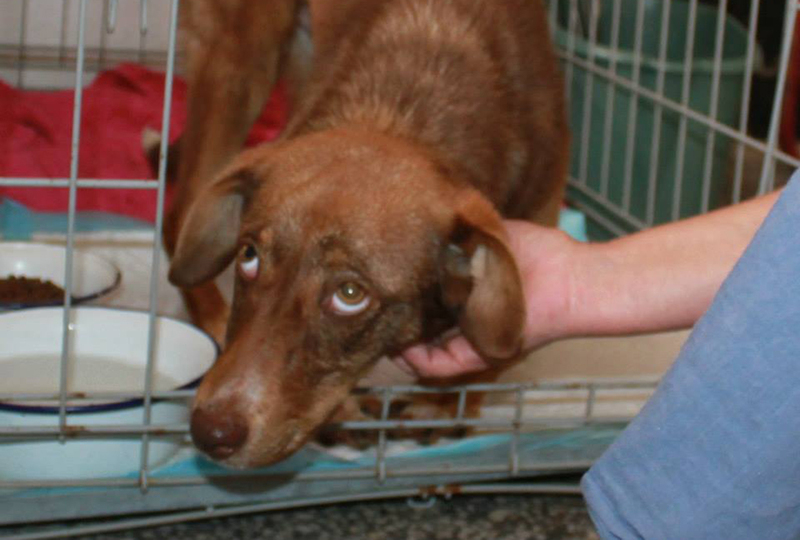 At times, they have more than 200 dogs and cats that are in desperate need of help and homes. Even the animals that have suffered too much abuse to be adopted become permanent residents at the facility, living out the rest of their lives in comfort. Currently, they are looking to renovate their shelter and even start a sterilization program for other dogs in the town. If you are interested in donating or reading other stories like Duke’s, please visit https://www.streetdogrescue.com/.